Named after the late Prime Minister Sri Rajiv Gandhi, the Rajiv Gandhi Institute of Technology RIT Pampady Kottayam is run by the Government of Kerala, started operations in 1991. It has established an excellent infrastructure and put together a team of dedicated and experienced teachers. The institution could thus attain a prominent place as a technical training Institutions in Kerala. The college is now affiliated to the Mahatma Gandhi University. The Rajiv Gandhi Institute of Technology RIT Pampady is offering a number of high-end courses in the latest technologies. 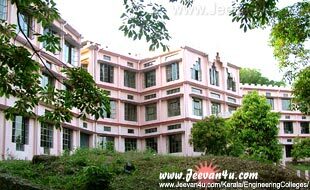 The Rajiv Gandhi Institute of Technology RIT Pampady Kottayam offers the following undergraduate Bachelor of Technology (BTech) four year undergraduate courses. The program MTech ( Master of Technology) is offered in the following fields of study. The Rajiv Gandhi Institute of Technology RIT also offers 'Masters of Computer Applications (MCA)' three year course and admits the students for MCA course through separate entrance tests.